Madhuri Dixit is returning to the big screen with her film, Bucket List. The film will mark her debut in the Marathi film industry. The actress is set to essay to the role of a housewife Madhura Sane who wants to explore everything on her Bucket List of wishes. It will be a slice of life movie with a strong message. The actress is currently busy promoting her film along with her collaborator Karan Johar who is presenting the film. As Madhuri Dixit turned 51 on May 15, she spent the entire day working and promoting her film Bucket List. 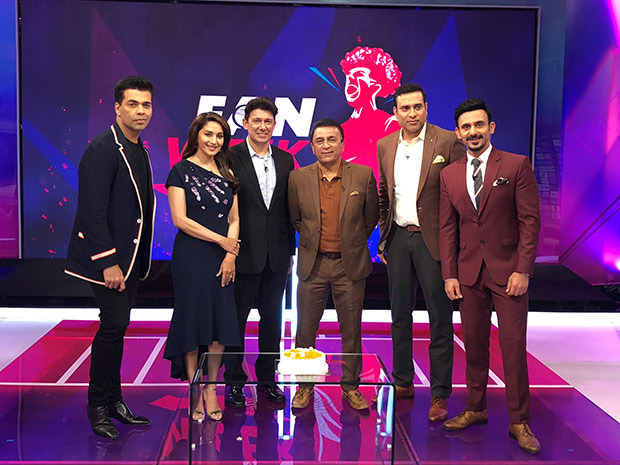 Madhuri celebrated her birthday at Star Sports Studios with Karan Johar and Star Sports Experts Sunil Gavaskar, VVS Laxman and Star Sports anchor Jatin Sapru. 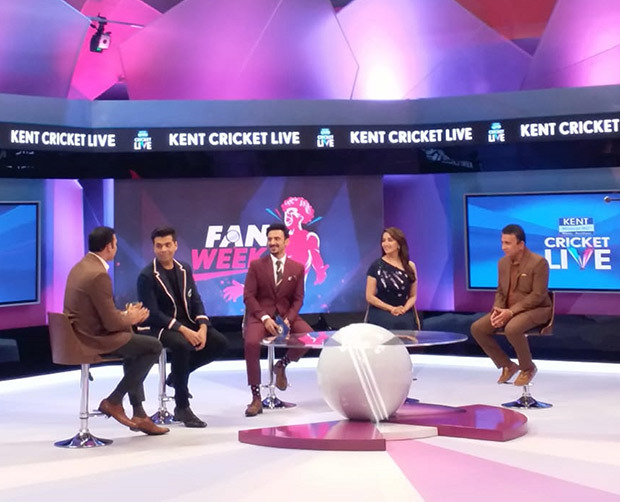 The show Kent Cricket Live will air on Star Sports Network on Saturday at 2:30 pm. Though it was a work day for Madhura, she celebrated her birthday by cutting the cake in her trailer with her crew members. Besides this film, Madhuri Dixit is set to star in two multistarrers. She is reuniting with Anil Kapoor in Total Dhamaal which is set later release this year. She is also shooting for Dharma Productions’ Kalank which stars Alia Bhatt, Varun Dhawan, Sanjay Dutt, Sonakshi Sinha and Aditya Roy Kapur. It is set for 2019 release. JENNIFER LOPEZ: GOOD COP OR BAD COP?